Kenwood TR-751A 2 meter multimode transceiver is packed with the most often needed features including: auto-mode selection, dual digital VFOs, 10 memories (plus COM channel), all mode squelch, scanning, noise blanker, RIT and large LCD. Power output may be selected at 25 or 5 watts. This radio requires 6 Amps at 13.8 VDC. 7.1 x 2.4 x 7.7 inches 4.7 lbs. Comes with MC-48B 16 key DTMF Up/Down hand mic. 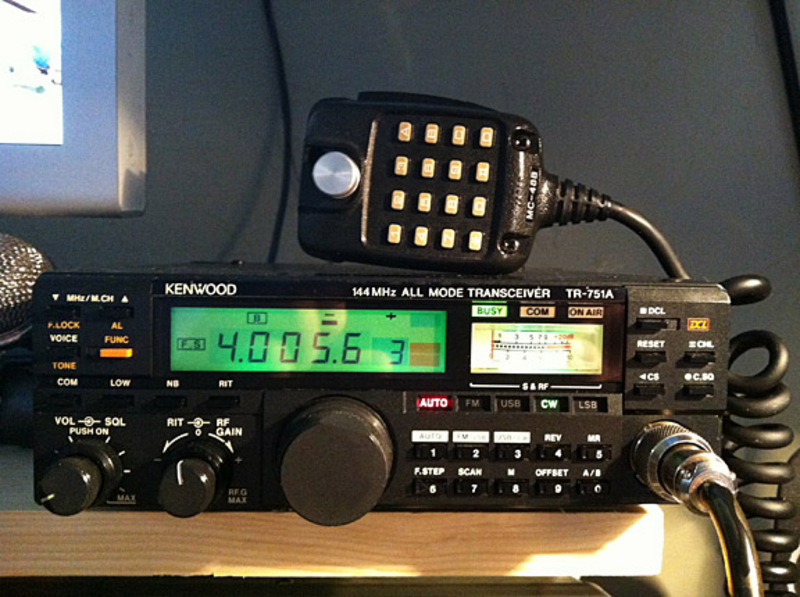 Kenwood TR-851A is similar, but operates on 70 cm (430-440 MHz) instead of 2 meters. (Requires 7.5 Amps at 13.8 VDC).